Welcome to Mama Mia's Restaurant & Tavern in Niagara Falls, Canada. 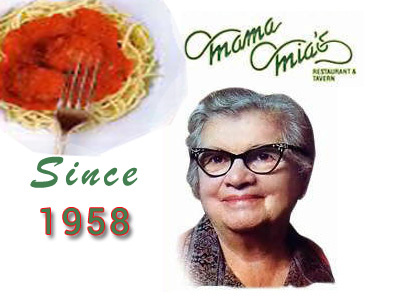 Over the years Mama Mia has served a feast of Authentic and yummy Italian dishes to the guests. Enjoy Seafood, Steak and Homemade Pastas & Sauces. Mama Mia's also feature Chicken, Veal, Vegetarian pasta and a variety of Daily Specials. Mama Mia's is the perfect place for the whole family, with affordable prices and a children's menu. You get it all at Mama Mia's in Niagara Falls, Canada. A Seemingly Endless Procession of Italian Gourmet Specialties Served "Family Style" On Large Platters.